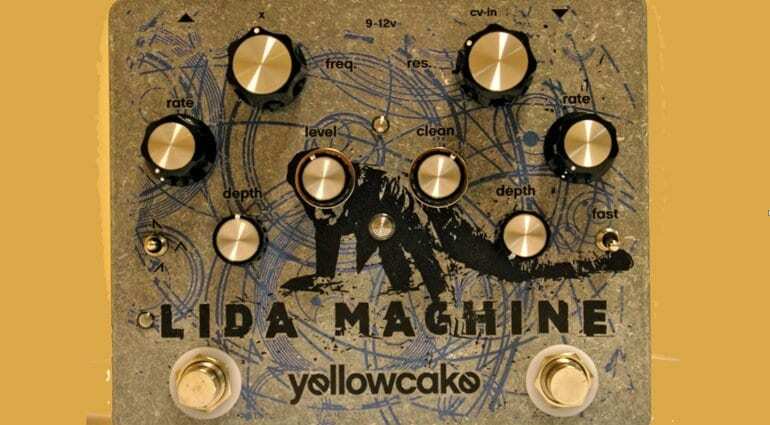 Boutique pedal maker Yellowcake’s latest offering is called Lida Machine, a resonant filter for your guitar. Last year saw the release of its wittily named Your Mom fuzz pedal, which had a few nice little touches that implied attention to detail. Will Lida Machine offer the same level of quality? The Lida Machine contains two independently adjustable LFO‘s, one of which is switchable on/off. These are used to modulate the Voltage Controlled Filter section, which is where all the sound-shaping is to be had. 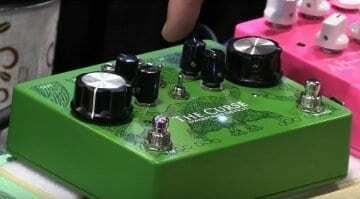 The resonance control knob can get wild if needed and the pedal has a Control Voltage/CV input, so you can control those filters with either a footswitch or a synth unit with CV for example. 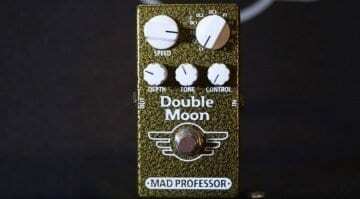 I really like it when boutique pedal builders make something more ‘out there’ and interesting, as there are plenty of the same old overdrives, delays and chorus pedals being made by the larger manufacturers, so I like what Yellowcake are doing with their designs. Let’s takea look at the controls. One is labelled Freq, that adjusts the frequency of the Voltage Controlled Filter. Res adjusts resonance of the VCF. Oscillation will start when the Res knob is at around the 4 o’clock mark, so mind your speakers! Next up are Rate – which controls the rate of the LFO – and Depth, which controls the intensity of the LFO. Finally, X is for the expression pedal input for the Freq control. This sets how much the pedal will influence the VCF. LFO 1 is a two-way switch that toggles the internal triangle LFO rate between slow and fast. 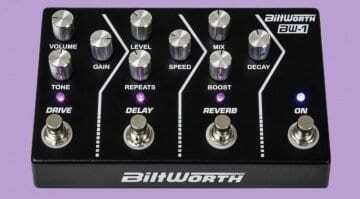 The LFO 2 Switch lets you select one of three waveforms, Ramp, Triangle or Sawtooth. The Clean control blends in how much of the original unaffected sound you require. Level sets the overall output level of the Lida Machine. The pedal runs on a 9 – 12v 2.1mm negative centre power supply only. Even though there are a lot of knobs, I think it is quite nicely laid out and if you have ever used a synth filter then it should all make sense to you. I would suggest you check out the recent video demo from Summer NAMM Show that Premier Guitar posted recently (below). This thing sounds cool! I could easily spend hours tweaking it in my own rig, but then I am a bit odd and love analogue filters. 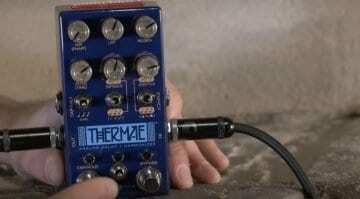 It seems pretty cheap for all the control it offers, there aren’t many good analogue filters for guitar and so it is great to see a boutique one for reasonable money.